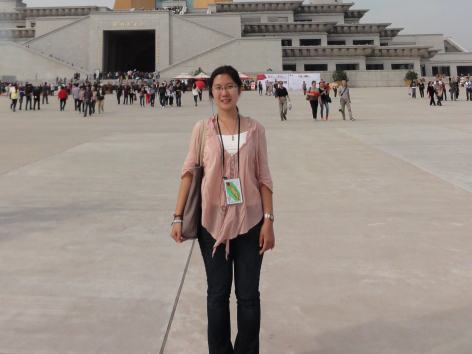 YU He joined us since 2010, when she was an undergraduate student at the School of Life Sciences, Peking University, and continued her graduate work from Fall 2013. She is interested in molecular evolution and population genetics, especially the population history of certain species and inter-taxa hybridization events. In the past several years, she has been successfully working on three projects: (1) Population genetics and conservation of Przewalski’s gazelle in Qinghai, China, (2) Adaptive evolution of rhodopsin gene in Felidae species, and (3) Genomic ancestry of wildcats and domestic cats in China. Yu H, Song SY, Liu JZ, Li S, Zhang L, Wang DJ, Luo SJ* (2017). Effects of the Qinghai-Tibet Railway on the Landscape Genetics of the Endangered Przewalski’s Gazelle (Procapra przewalskii). Scientific Reports 7: 17983. Xu X, Sun X, Hu XS, Zhuang Y, Liu YC, Meng H, Miao L, Yu H, Luo SJ* (2016). Whole genome sequencing identifies a missense mutation in HES7 associated with short tails in Asian domestic cats. Scientific Reports 6: 31583. Qin S, Yin H, Yang C, Dou Y, Liu Z, Zhang P, Yu H, Huang Y, Feng J, Hao J, Hao J, Deng L, Yan X, Dong X, Zhang Z, Jiang T, Wang HW, Luo SJ, Xie C (2016). A magnetic protein biocompass. Nature Materials 15: 217-226. Yu H (2012). A pilot study on the genetic variation and adaptive evolution of the rhodopsin Gene in Felidae. B.S. thesis, Peking University. Yu H and Song S (2011). Research on genetic diversity and conservation of Procapra przewalskii. An Undergraduate Research Grant Report submitted to Maoyugang Foundation, PKU.